So, Bosco has learned of RTÉ’s plans for young people’s programming. maybe tonight Rte will get rid of Adult Programs! And it’s all kicking off now. He’s begun lobbying. Let loose The Magic Door. Posted in News and tagged Bosco, boss, campaigning, warpath at 4:02 pm on November 25, 2016 by Broadsheet. Bosco would be better off contacting One In Four: an adult was knuckle-deep in the wee mite for his entire broadcasting career. You’ve never heard that ‘gag’ before? Little lying whinging spitrag. 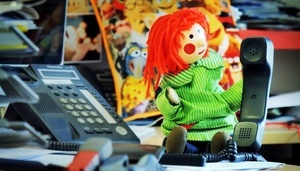 They are not getting rid of kids programmes, they are just not having dowdy dungareed rte lifers make them any more. And of course “social commentator” blindboy on the wanderly bandwagon. Where’s Bressie though? Say that to Bosco’s face. Bosco has been freelance since the 1980s, pal. I think you owe him an apology. Fupp him, and the hand he rode in on. Stay away from the big suffocating plastic bag Bosco! Will anyone in RTE be made redundant ? Who doesn’t get a look in? What half-successful Irish ‘star’ has not been on RTE at all? Whether they do enough with this ‘talent’ or not is a different matter. The only variety out there is on Saturday Wireless: from the lad before Country File, ( plays a good set) Country File to Saturday Sport. That’s what happens when people don’t pay their TV licenses. Shocker.